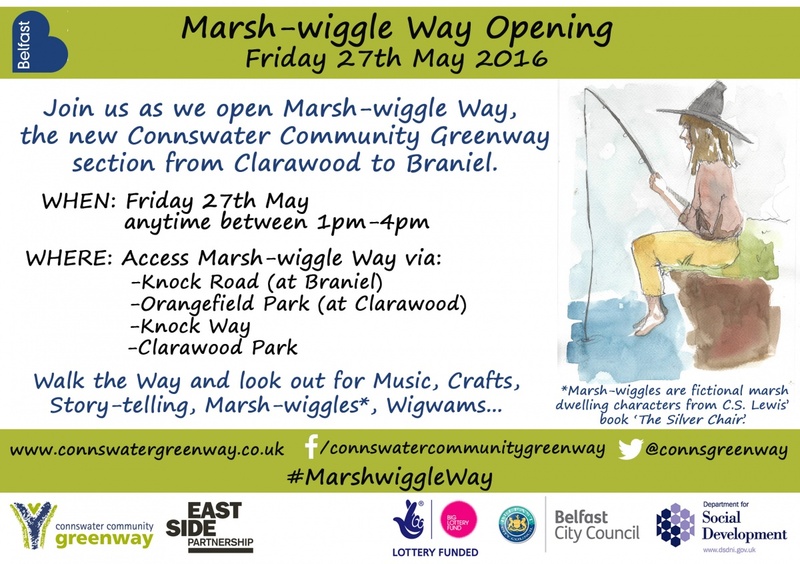 The new Connswater Community Greenway section connecting Clarawood to Braniel opens on Friday 27th May 2016 from 1pm to 4pm. We are delighted that EastSide Arts has been shortlisted for a Northern Ireland Tourism Award 2016 in the Best Event/ Festival category for the Van Morrison: Live on Cyprus Avenue event in August 2015. Visual Artists Ireland, in association with EastSide Arts, invite you to attend this event to find out more about the visual arts exhibition spaces, studios, resources and collectives in East Belfast. This networking and information event will be an excellent opportunity to meet other artists and arts organisations in an informal setting. Earlier this year the EastSide Partnership, in association with Belfast City Council, launched a campaign to name three bridges and a major new pathway as part of the Connswater Community Greenway. The public put forward their suggestions and a panel of judges then selected the top 2 under each category which went out to public vote last month. Last month the Connswater Community Greenway in partnership with Belfast City Council gave the public the opportunity to officially name major links along the Greenway including three bridges within Greenville Park and Orangefield Park, and a major new pathway that extends from Orangefield Park to Braniel. EastSide Partnership offices will be closed for Easter on Monday 28th and Tuesday 29th March. May we take this opportunity to wish everyone a very Happy Easter. The EastSide Learning’s Reading Fair, which took place on Friday 11th March, was a great success for everyone involved – apparently the pressure is now on to make this an annual event! "It was such an enjoyable afternoon, everyone I spoke to was very enthusiastic and engaged, and there was a lovely, lively atmosphere in Skainos." "The parents were very appreciative and there was a very positive vibe." "It was great, my children loved it!" Connswater Community Greenway has a number of events taking place in March. You don't need a ticket - just show up on the day!